For the past few months, I’ve had this…um…thing going on. I haven’t tried to keep it a secret. As a matter of fact, I told anyone who would listen. It was a great set-up. I was asked my opinion. And I got free stuff for sharing it! Now, apparently, they want my opinion for free! I never openly share my opinion on anything. I just didn’t expect the end to be today. The Sonic here only gives them out randomly. It was never a gimme like it was up there…so maybe they are going to the random system. 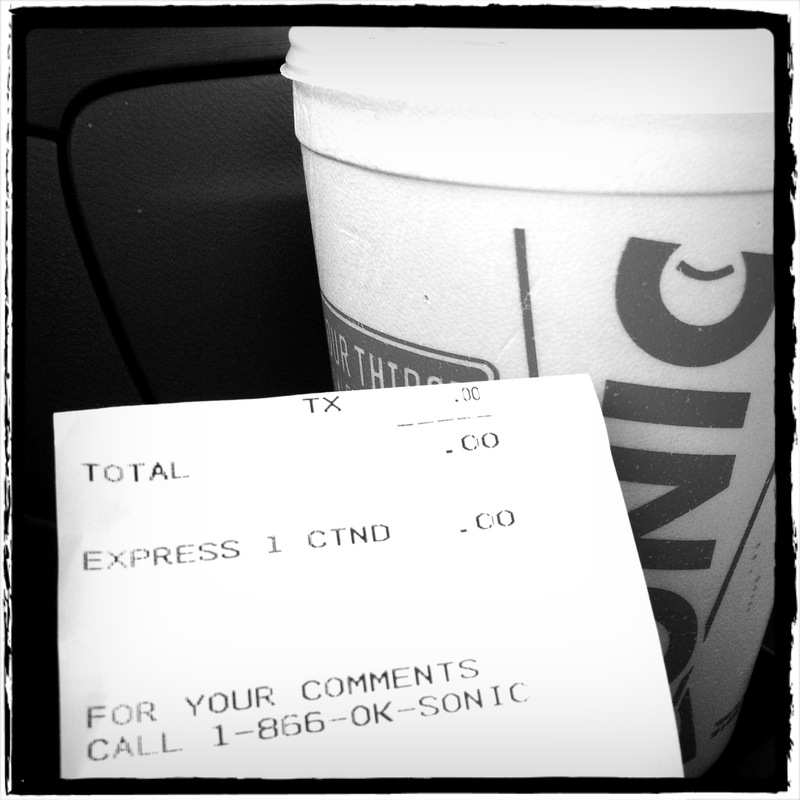 Still doesn’t help your (free) Sonic fix. Oh my gosh one of these days I am going to get to try this Sonic everyone raves about!! !